- USA Today delves into the suspension of new Brewer Mike Cameron along with the suspensions of Jose Guillen and Jay Gibbons. It's the most in-depth conversations I've heard from Cameron on the matter. Padres GM Kevin Towers called the Cameron acquisition "the best signing of the offseason" in the article. Cameron commented on the effects of his nasty collision with Carlos Beltran in 2005 and his comments are a little alarming. He's going to be checked out for any lingering effects from the collision. This is the first I've heard of any lingering problems... "I'm fine physically," Cameron says, "but mentally, I'm not so sure. It's just little things. Lapses here and there. I may be fine, but it can't hurt. I just want to find out for sure, and whether I need anything to help me." - Sheets gave up five runs in three innings of work today, the first runs he's given up this spring. Ben was working on his change-up, which Yost says is good as it's ever been. I doubt it will be a major part of Sheets game, but if he can use it a few times a game, it would help keep hitters off balance. - Hall says he has "the best swing I've ever had in my life" right now and says he'd like to hit more than 35 home runs. I'd rather have Hall concentrate on getting on base more and striking out less than mashing since the Brewers have plenty of mashers already, but I'll take any sort of a bounce back year. - Greg Doyel nails the ridiculous whining about "low ball" contracts coming from MLB players, including Fielder, on the head: "Low blow? Someone please kick me that hard in the nuts," he writes. - Michael Hunt also weighs in on Fielder's contract comments. 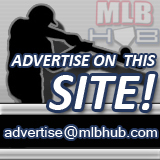 - More on a potential Capuano trade with the Red Sox, including a hat-tip to RFB from MLBTradeRumors.com. Doug Melvin shot the Brewers involvement down today though. He did say that they've called a few clubs to tell them about the extra pitching they have though. - Bobby Cox has a funny quote on Yost talking about hitting pitchers eighth: “[Bleeping] Ned, he got into the stats - look out,” said Cox, who loves Yost, but isn’t quite on the same page as the younger manager when it comes to innovative use of stats. Don’t expect Cox to bat a pitcher eighth anytime soon. “Might cost you more games than it helps,” he said. - The Wisconsin State Journal takes a look at Corey Hart. - Matt LaPorta comes in at number 16 on MLB Rumors Top 100 Prospects. - Brewers relievers will pitch in a makeshift minor-league game to get some work in. - Gallardo will pitch a live bullpen session tomorrow. He continues to make progress from his knee surgery, but will probably not be ready to start the season with the club. - Kapler fits the profile of a "battler." - Significant cuts by the Brewers will not be coming soon. - The latest Talkin' Brewers with Jim Powell is up for listening. - Bucs Dugout picks the Brewers second in the NL Central. Pretty usual stuff... They like Hart and Weeks, hate Kendall, like the pitching depth and say the Brewers could win the division, but the Cubs are the favorites. - Fan Perspective: Spring Training I and II from Sports Bubbler. - Former Brewer catcher Chad Moeller was cut by the Nationals and signed by the Yankees, likely as a AAA player. Cure for a state of depression?